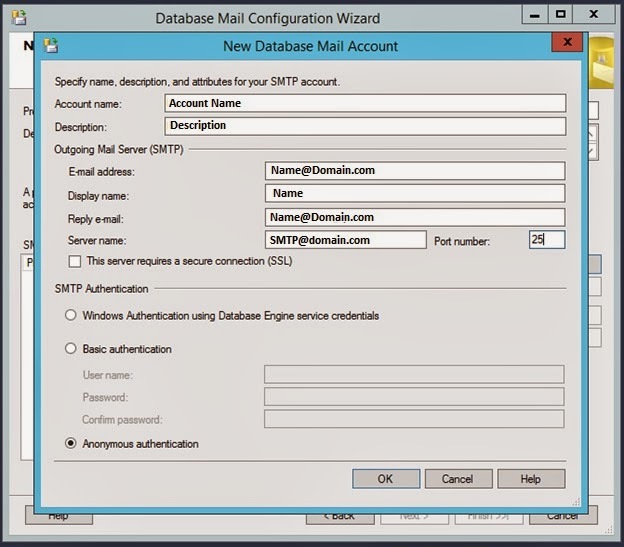 This post shows how to configure SQL Server Database Mail in SQL Server 2012. 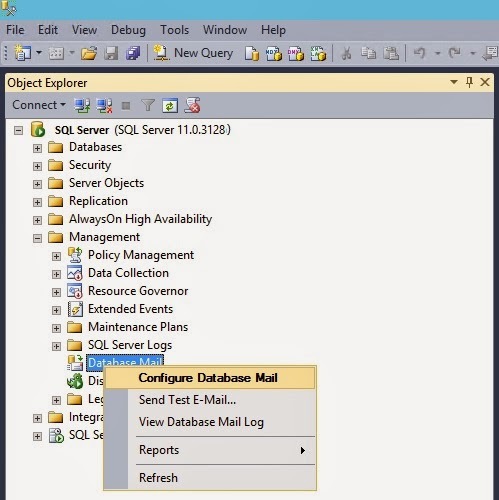 Open SQL Server Management Studio. Expand Management. 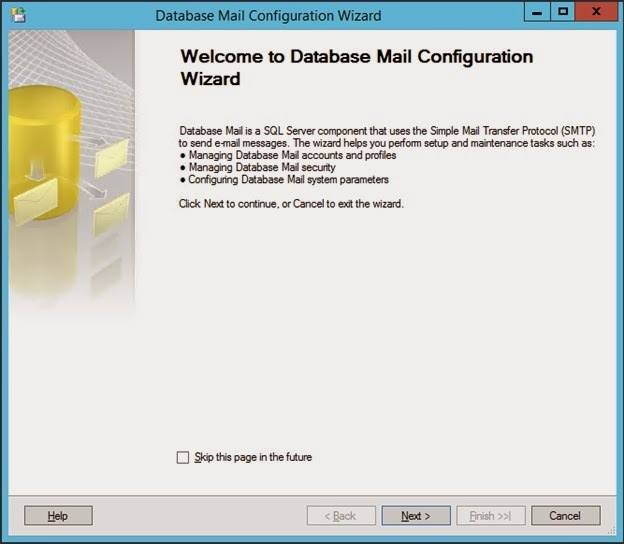 Right-click on Database Mail and select Configure Database Mail. 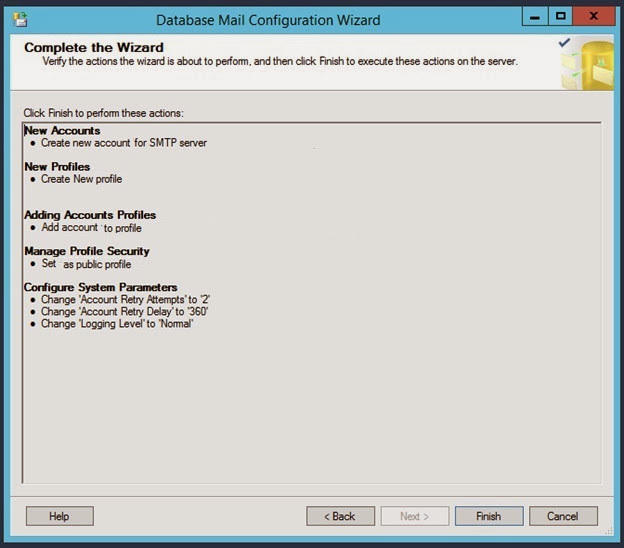 Click Next on the Database Mail Configuration Wizard Welcome Screen. 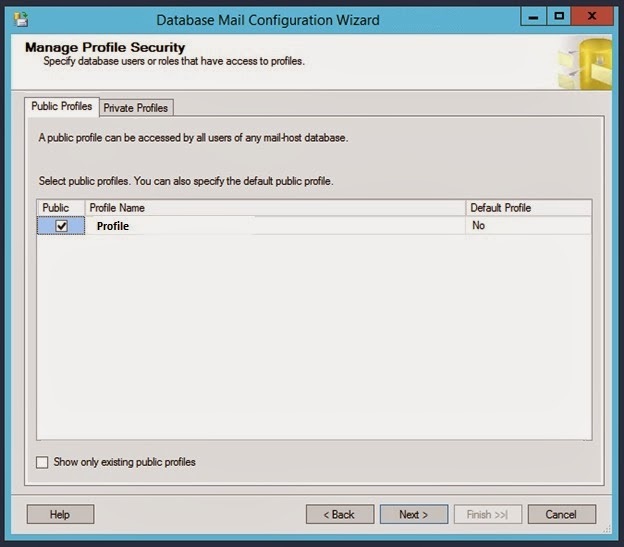 Choose "Set up Database Mail" and click Next. 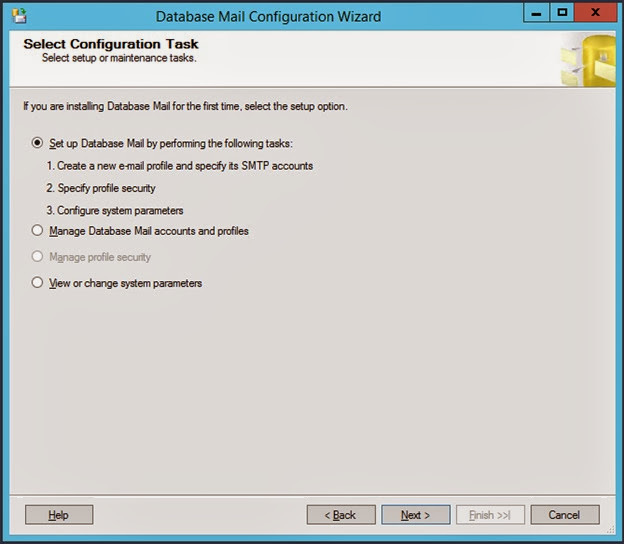 Database Mail is disabled by default. 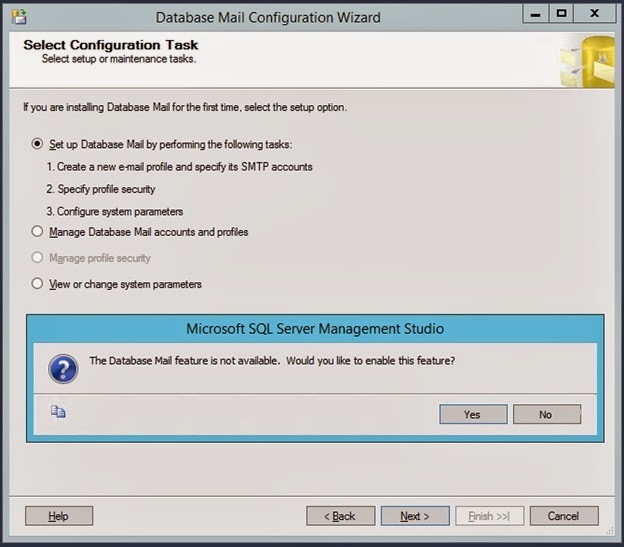 When prompted, click "Yes" to enable the Database Mail feature. 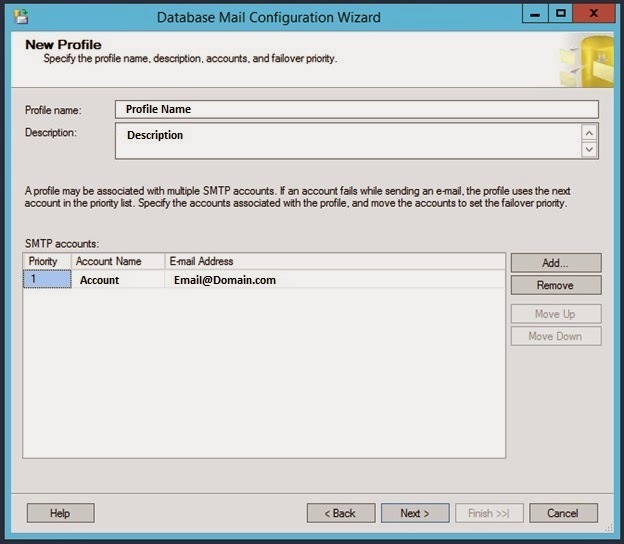 Create a new Database Mail Account. Complete the "New Profile" screen and click Next. Mark the Profile "Public" and click Next. 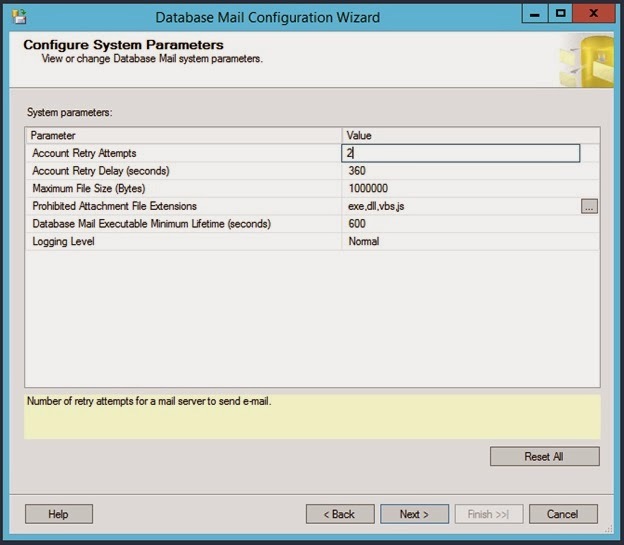 Complete the "Configure System Parameters" screen and click Next. 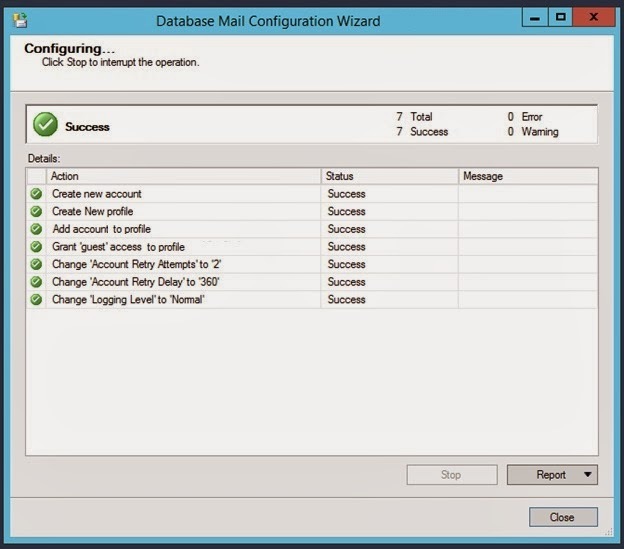 Click Finish to complete the Database Mail Configuration Wizard. Verify all configurations are successful and click Close.